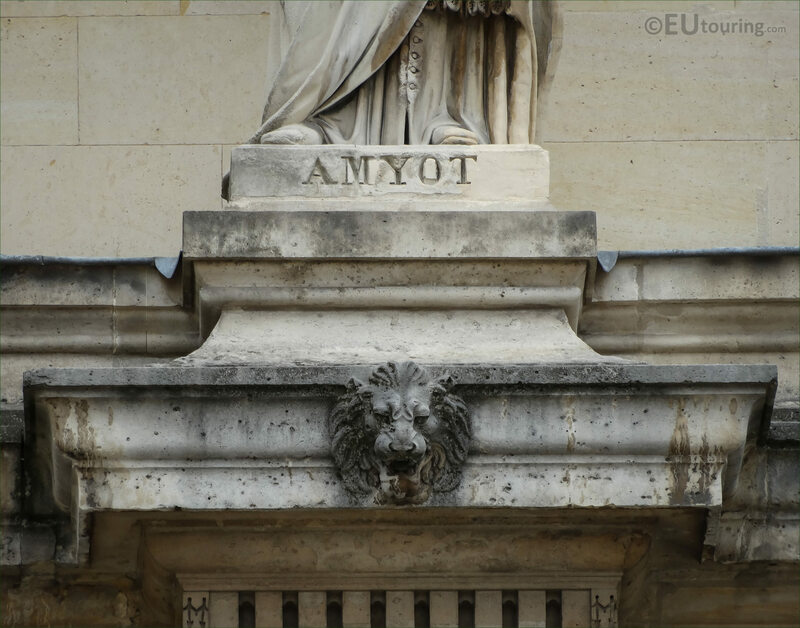 We were yet again in the Cour Napoleon of the Musee du Louvre, which is the famous tourist attraction located in the 1st Arrondissement of Paris, and this time we took these high definition photos showing the statue dedicated to Jacques Amyot, that was sculpted by Pierre Travaux. 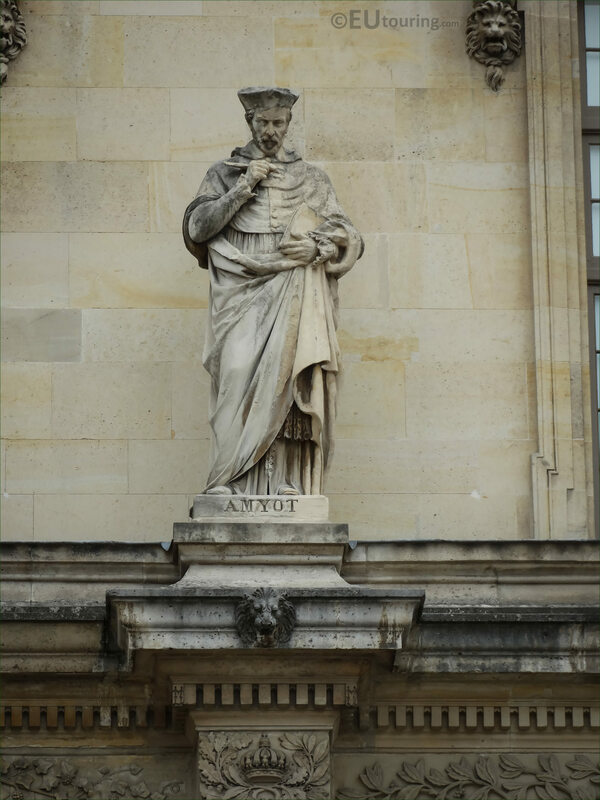 So this first HD photo shows the stone statue of Amyot, which is located on the first level balustrade of the Aile Henri IV wing of the former Palais du Louvre, and originally a plaster model was produced in 1856, which is held in the Auxerre Museum at Burgundy, prior to the final stone version that you can see here. Now Pierre Travaux, who was born in March 1822, became a French sculptor receiving numerous different commissions for historical buildings in Paris including six different statues for The Louvre. And, the son of a stonemason, ironically his name translates in English to Stone Works, which is actually quite apt, considering many of his sculptures and statues were produced in stone or marble, plus he sculpted several friezes as well. In 1547 he translated the Aethiopica of Heliodorus and was rewarded for this by King Francis I, which meant that Jacques Amylot could travel to Italy and study the Vatican text of Plutarch for translation, and upon his return to France he was appointed the tutor for the two sons of King Henri II. This then later led to King Henri III appointing him as commander of the Order of the Holy Spirit. 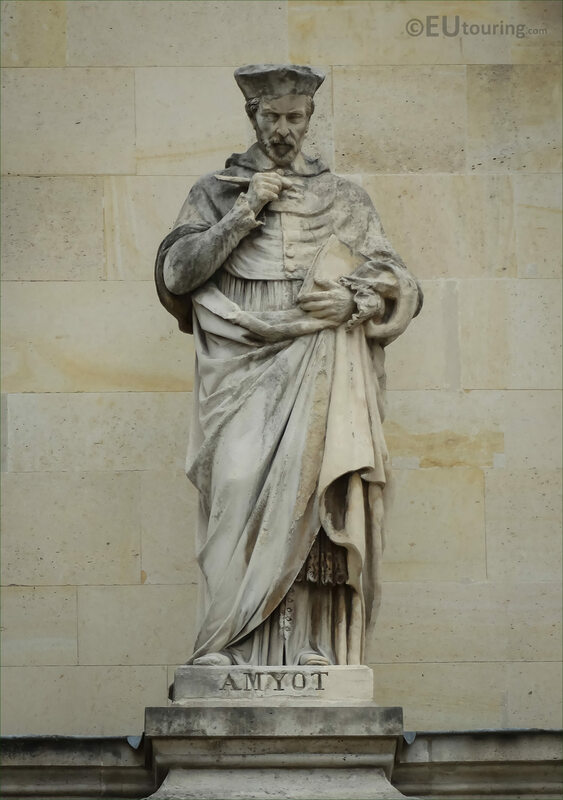 Then in 1570 Pope Pius V promoted Jacques Amyot to the bishopric of Auxerre, which is why the plaster model of him is now in the museum in Auxerre, and he is recognised as always seeking the best authorities for certain topics and books, which were interpreted correctly, with his translations and style of writing being like an original work.